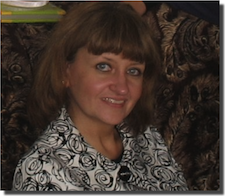 Svetlana is our missionary in Moscow. Formerly with Slavic Gospel Association, Russian Ministries, and AWANA, she is now forming an alliance with International Teams. She will be working, as she has in the past, to ensure that missionaries working in Moscow and other Russian cities have the tools they need to spread the gospel and plant churches. She will be an integral part of the Moscow team, as well as a full-time Mom raising her daughter Christina. Her husband is Sasha, a security guard, and they have two grown children, Andrei and Ailena.